I first saw Kate Bosworth play a rather subdued Lois Lane in Superman Returns. She was a brunette in the movie, as Lois Lane ought to have been. So while the face registered, I couldn’t think of herself as anything other than a brunette. A year later I started watching Heroes. The third season of Heroes introduced a character called Daphne Millbrook, played by a person called Brea Grant. Brea is blond in the series and her face seemed very familiar, though I couldn’t pinpoint who exactly she looked like. Then I watched 21, the movie about counting cards at Blackjack. The character of Jill Taylor was again that familiar face. 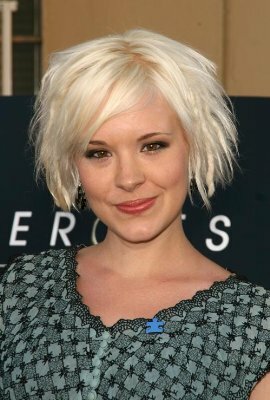 I figured that this was Brea Grant, albeit looking somewhat older. As the credits rolled, though, I realized the reason for the familiarity. This was Kate Bosworth in a blond avataar. What do you think? Do they look similar?